How beaut was it in London this weekend? I hope you got the chance to enjoy the sunshine! I had a really lovely weekend meeting clients, spending time with my family and going out for a friend's birthday. What did you get up to? 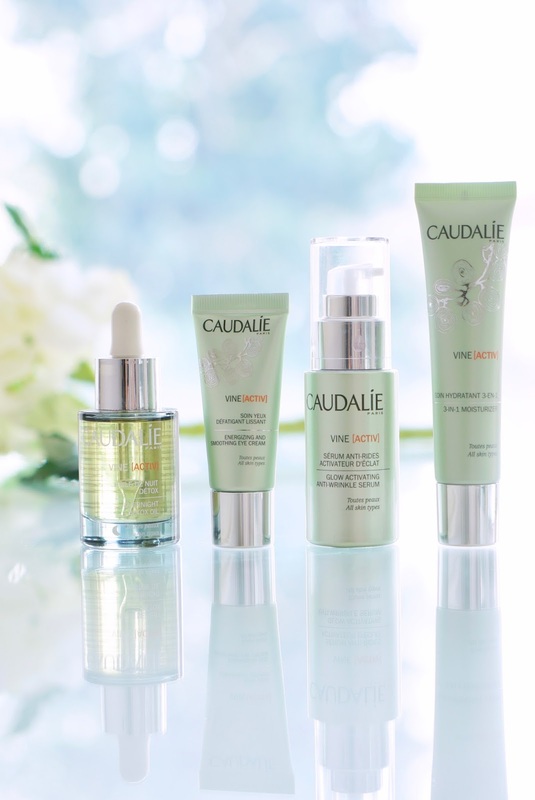 I wanted to share with you guys the new Caudalie VineActiv range. I've been using it for the last 3 weeks to get a good feel for the products. 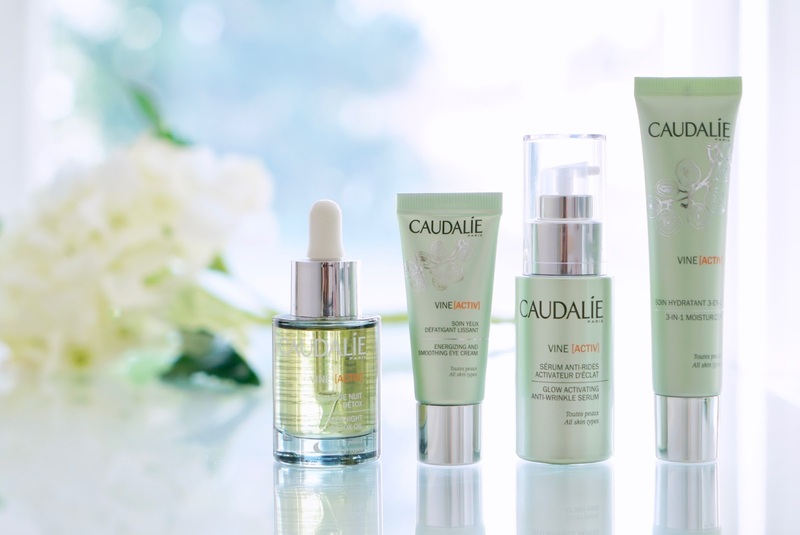 As you guys know Caudalie has been a firm favourite of mine for a while now, I'm always raving about them on my blog :) Their new VineActiv collection is all about getting that glow back, strengthening and protecting our skin from pollutants and wrinkles. When we're busy and on the go, our complexion can suffer and lacks that radiance - defo know that feeling! Prevention is better than cure right, so it's never to early to start using anti wrinkle products. 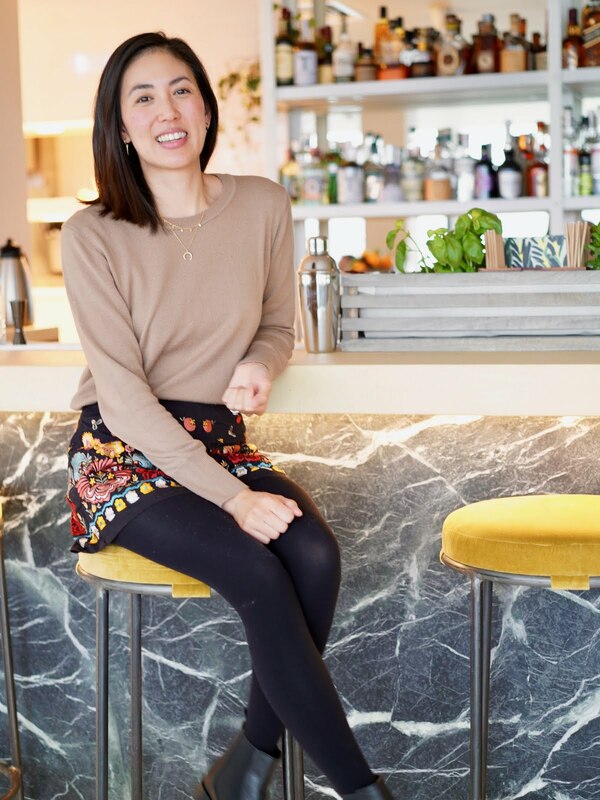 I'm heading into my mid 30's so I want to look after my skin even more! I had a skin consultation years ago and they said I had sun damage around my eyes (eek!) so I always make sure to protect the eye area and help prevent wrinkles in the future. So far I don't have wrinkles or creases around my eyes, so those creams must have been working all those years! Eye creams can be hard to get right, some are too thick and sit on your skin without blending in, I find the Kiehl's Creamy Avocado Cream too heavy for me. 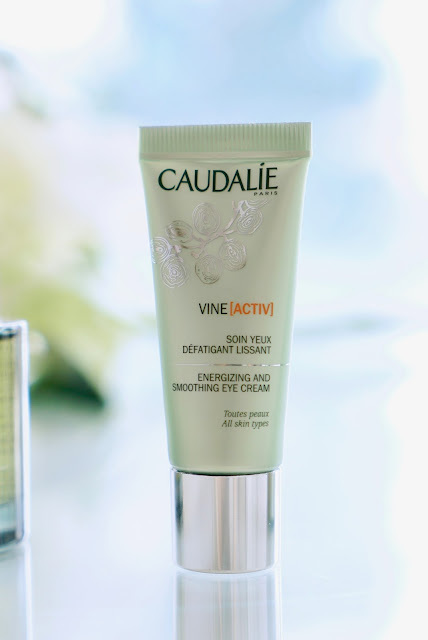 The Caudalie Energizing and Smoothing Eye Cream* is a really gentle and light texture, I can barely feel it on my skin. I like how it blends in nicely and a good base for your makeup. It's packed with vitamins E & C and antioxidants to help strengthen the delicate eye area as well as licorice extract and horse chestnut to help sort out those dark circles. It can also be used around the lip area to keep them smooth. 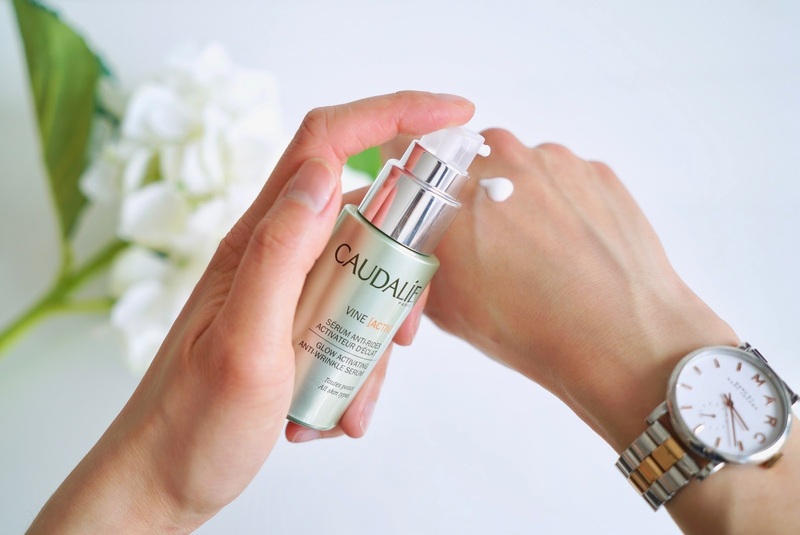 I've really been enjoying using the Caudalie 3-in-1 moisturiser* - Anti pollution, anti wrinkle, healthy glow - everything you want from a moisteriser! This is a great everyday moisturiser, they call it a 'daily savior for urban skin' so helps against pollutants and other nasties that get on our face. The combination of hyaluronice acid and anti cell burn out complex helps keep your skin plump and smooth. I love applying this cream, it's so effortless and not thick and heavy at all for an anti wrinkle cream. Before using the 3 in 1 moisteriser, I pop on their Glow-Activating Anti Wrinkle serum*. 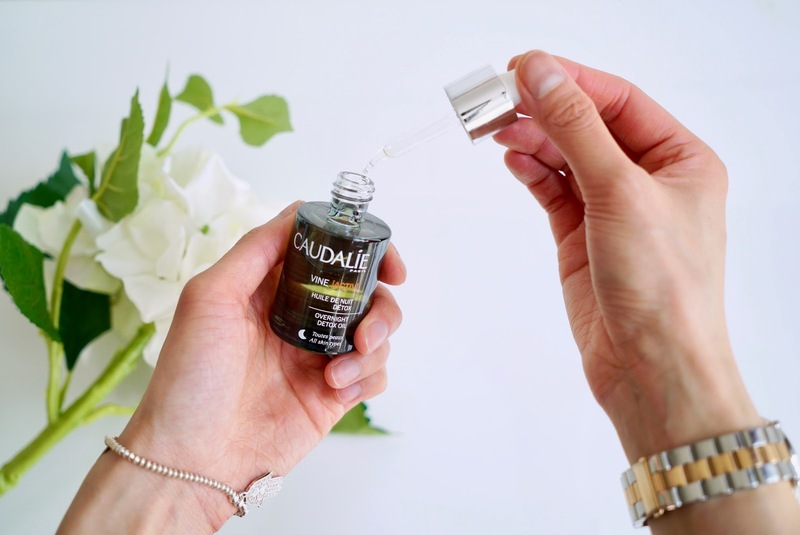 Serums as great as they're jammed packed with goodness. This serum has anti-oxidant polyphenols to help give your skin that healthy glow that we all want. It also contains hyaluronic acid, which adds moisture and plumping effect as well as anti-oxidant vitamin C. It's a cream formula so feels comfortable on the skin and easy to apply. Most serums I've used are gel like texture and can feel slightly tacky on the skin, this formula is like an amp up moisteriser. My favourite product of this range is the Overnight Detox Oil* I love using facial oils as I find them really nourishing and effective. This 100% natural Detox Oil renews, protects and regenerates your skin over night. It contains omega 6 and 6 essential oils to detoxify the skin. I had high hopes for this product and every morning my skin feels and look smooth, firm and a little bit more refreshed. I like the dropper application and the bottle looks so nice and luxe! 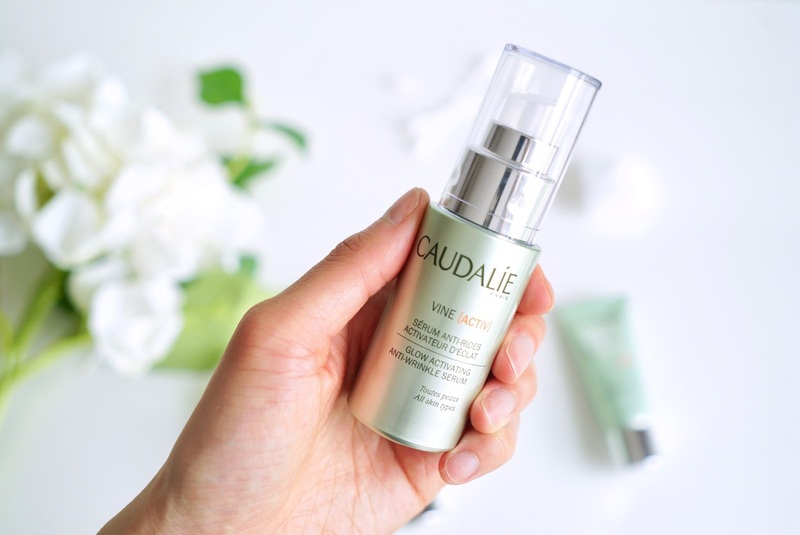 The only downside is I'm not keen on the smell, which is odd as I always love the scents of Caudalie products but I guess it's the combination of all those natural ingredients! I really hope you enjoy this skincare post and found my review helpful. I know skincare is such a personal thing and we all have different skincare types but my combination skin has been loving this range :) If you want to try out the products, you can pick up samples from in store or Space NK. 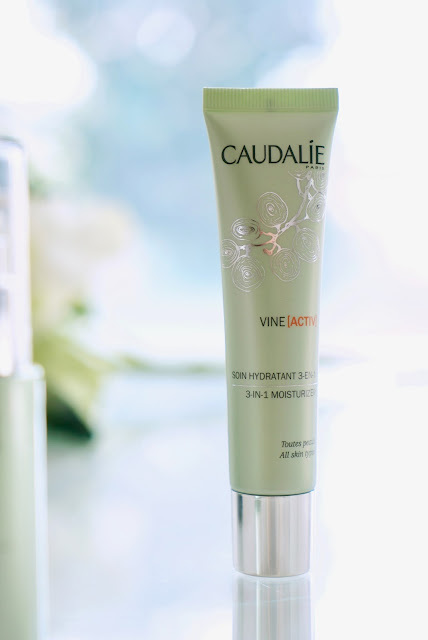 Have you tried Caudalie, what do you think of the VineActiv range? There's also a competition to win 1 of 100 boxes of this collection, so go enter!